What piece of art comes to mind when you hear the word “masterpiece?” Often the art world points to classics depicting scenes of universal beauty built with precise brushstrokes and groundbreaking subject matter. 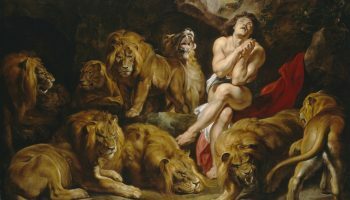 Art’s greatest pleasure—that all humans can think and feel similarly or differently when prodded by the right imagery—is also often its most intimidating growl. There are few who have stood in front of a Rembrandt portrait, taken in his complex scope of light, and said to themselves, “Hey, I can do that.” Masterpieces can be alienating and nagging in their unapologetic reminder of what we cannot do. Fine art’s sometimes unattainable panache is the precise reason Invader’s Into The White Cube at Over The Influence is so bloody worth getting hung up on this week… It’s blissfully none of the above. Get your camera phones ready. As soon as you enter the gallery you’ll want to Insta-story the welcome party; a three-dimensional signature Invader logo presented on a backdrop of swirling LED lights. Whether you’re a lifelong, pop-art enthusiast or a first-grade, finger painter, Over The Influence serves up an entryway appetizer that will make all visitors hungry for more. Simply stated, this show is fun. In totality, the exhibition serves as a retrospective of Invader’s street art stunts since ’99 while profiling the artists’ forays into other forms of visual media. 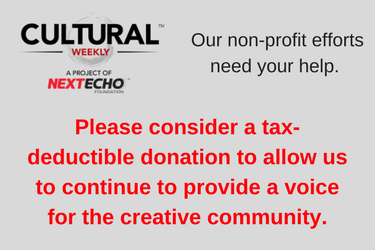 There are no masterpieces in this show, sans the glorious, inspirational overtone that art can be for everybody, and more importantly that art can be by anybody. 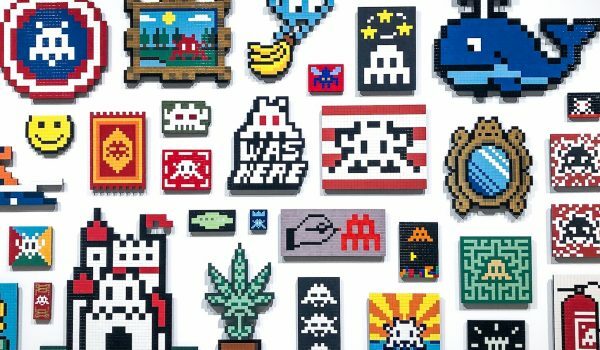 Fans of Beyond The Streets will delight in this exhibition’s photo gallery of Invader’s past, public exploits, featuring the very same mosaic works hanging in the next room. 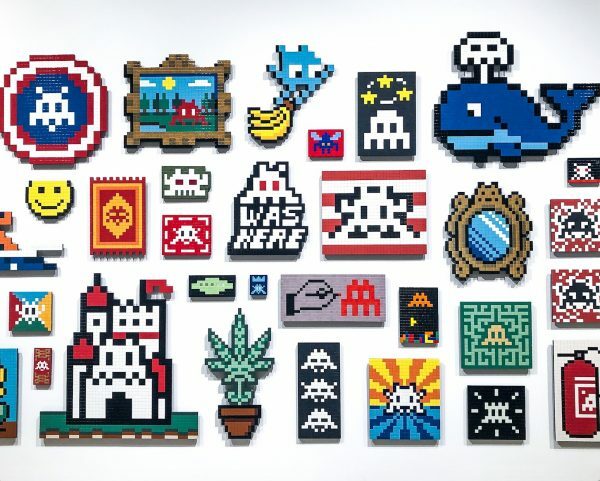 His tile works created in homage to 70s and 80s, 8-bit video games are colorful, silly, and altogether contrary to the canvases typically hung in fine art museums. 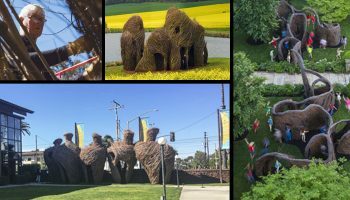 Despite this, his work has been seen all around the world on buildings, freeway overpasses, and even the Hollywood sign. 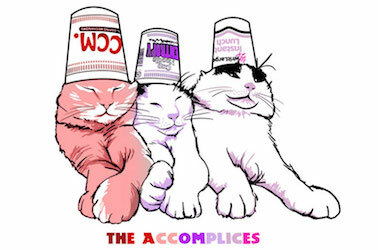 This artist’s crusade to inject the ordinary with the artfully comical and occasionally facetious feels so necessary in the delicately serious world of today. 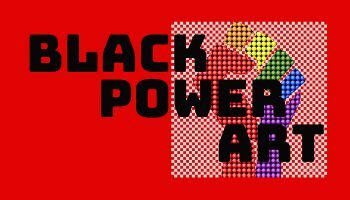 Visitors will be hard-pressed not to thoroughly enjoy this exhibition while leaving Over The Influence with a valuable lesson learned. Invader’s featured paintings are rudimentary and simplistic (you can even see the lines of his pencil), but taken in the show’s full context, his work is proof that with an original idea and creativity, anyone can make art that the public will love. Into The White Cube will induce euphoria for guests when they realize what they can achieve as artists—whether it’s remixing classic characters from pop-culture or even sending your own art into space (watch the video, it’s worth it). 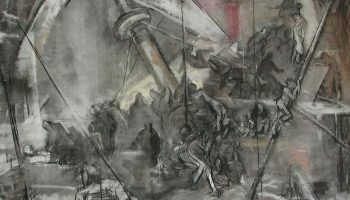 Should you visit, keep in mind that every single piece hanging in the exhibition was sold within the first week of opening. 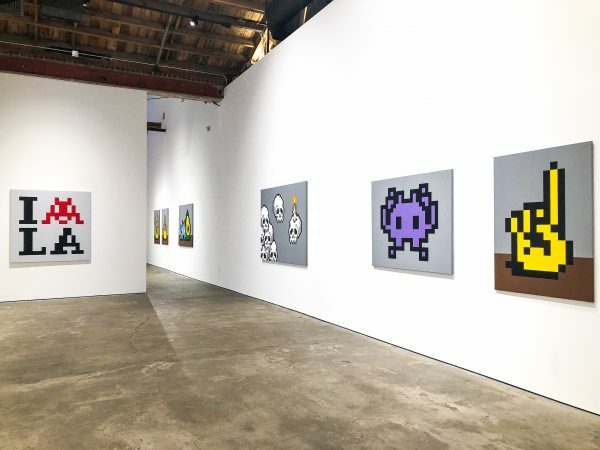 Invader has given Los Angeles a show that is entertaining, a blast of eye-candy, and most of all a reminder of what each of us as artists can do… and that’s pretty masterful. Invader’s Into The White Cube is on view at Over The Influence until 12/23/18.